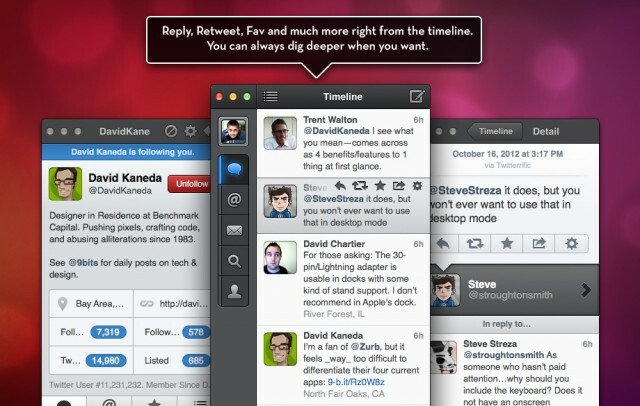 Tweetbot, the Twitter app by Tapbots that debuted as an iOS app, is now available for Mac. The desktop version includes a raft of clever features: support for Retina displays, a mute button for users, hashtags, & keywords, a retweet-blocker for over-retweeting friends, and iCloud syncing between the iPhone, iPad and Mac versions of Tweetbot. The Mac version is available at the Mac App Store.